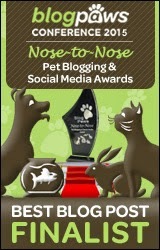 Celebrating 2 Years of Pawsitively Pets With a Blogiversary Giveaway! Thanks for joining our Blogiversary celebration today! 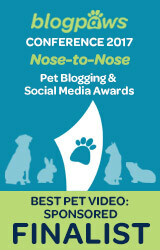 Today marks the 2nd anniversary of Pawsitively Pets - a pet blog that is dedicated to all things animal. I can't believe that it's already been two years and am happy with what this blog has accomplished in just 2 years. First of all, a BIG thank you to all of you who stop by to read our blog posts or say hello on our social media pages. Without you, blogging just wouldn't be that exciting. You make our world go round and we deeply value your friendship! That's part of the reason we are having a special Blogiversary giveaway today, but more about that in a minute. I thought it might be interesting to see what kind of things Pawsitively Pets readers enjoy reading about the most, so here is a list of our most popular blog posts from the past year. I Painted My Dog to Look Like a Tiger With PetPaint - Yep, I did! This is pretty cool for Halloween that's coming up soon. Surprise Your Dog With #BarkBoxGifts - Shiner's very first pet subscription box that she tried was a BarkBox. Learning to Speak Dog With Help From "Decoding Your Dog" - Shiner shows her intellectual side in this blog post. Should You Give Your Dog a Probiotic Supplement? - Information about giving probiotics to dogs. 4 Ways to Protect Your Dog's Paws from Hot Concrete - This was published during the summer time. Keep an eye on those paw pads! In the past year, we've lost some friends but also have had the chance to make some new ones. We added the newest additions to our pet family - Jack and Gus. I think they are pretty happy to be here too. Now, it's time to celebrate! This year for our Blogiversary, we have 2 prize packs to give away. 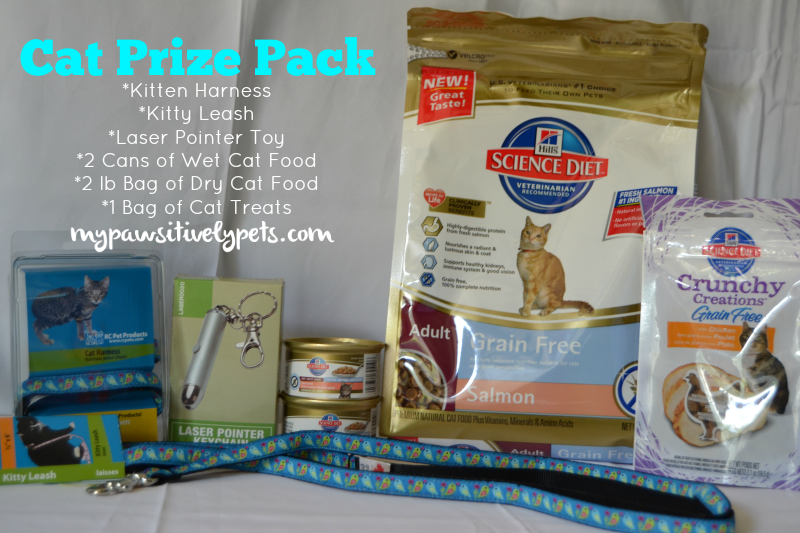 One dog prize pack and one cat prize pack. I feel bad about not including a small pets prize pack this year, but I do have something special coming up for our small furry friends soon. And be sure to come back again tomorrow for more celebration and prizes! To enter the giveaway, just fill out the Rafflecopter below with as many options as you like. Only one option is mandatory to enter. This giveaway is open for US residents only, ages 18+ and will end on October 22nd at midnight CST. Good luck! Again, thank you all so much for being our friends and visiting us! 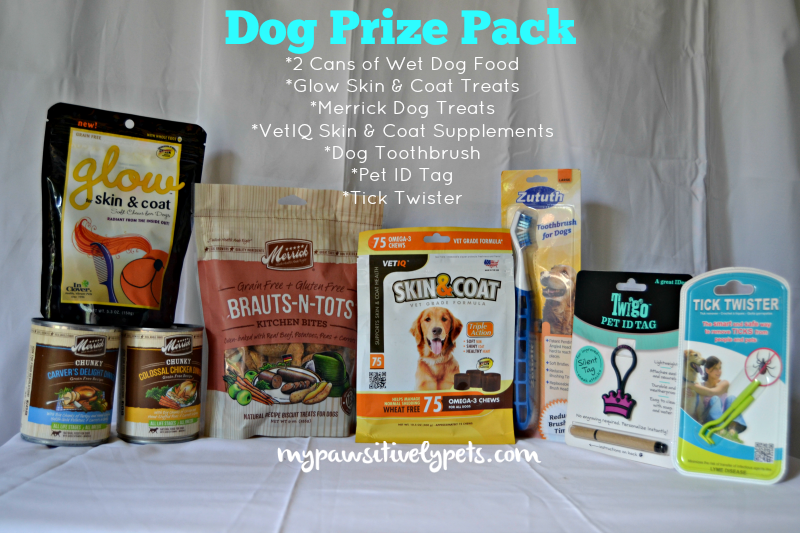 This giveaway is sponsored by Pawsitively Pets. Thank you Camille :) I am glad to have connected with you recently. Happy Blogoversary, I love it to read about all your funny pets and I learnt a lot from your posts! I hope for many posts for the next 87 years! Oh goodness... I would be 117 by that time! Happy Blogoversary gang! We sure love your blog!!! Thanks for the well wishes for Sister Zoe, we sure do appreciate them. Happy Blogaversary! We hope you have many more! Happy Two Year Blogiversary! 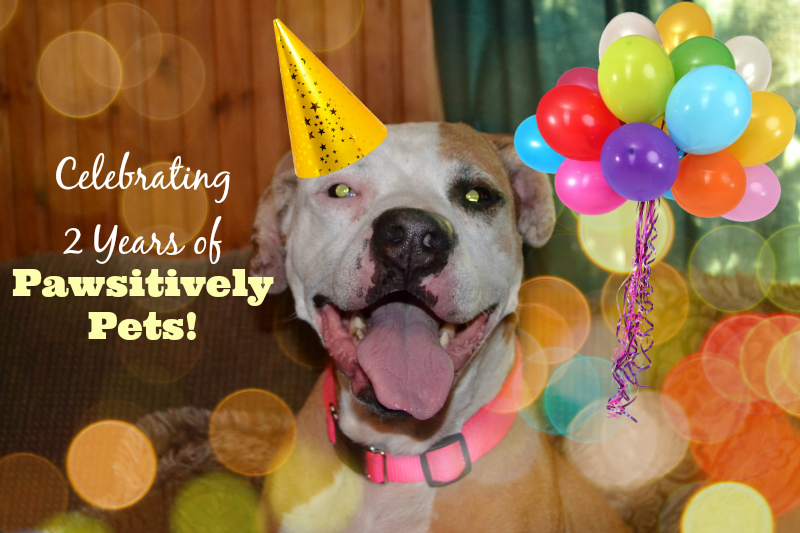 Here is to many more amazing years of Pawsitively Pets! Even though I consider myself a dog person and a dog blogger, I like that since I subscribe to your blog, I also see cat and other pet articles and posts! 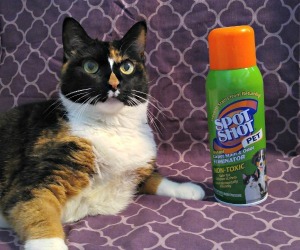 Maybe more cat posts and reviews of cat products. Congratulations! You really have a lovely blog! I really enjoy reading your blog, especially the product reviews! We love everything about your blog! Thanks for sharing information about products and giveaways! Congratulations! I love all the unique products you show/offer on Pawsitively Pets. I would like to see more products for puppies or small dog breeds. Congratulations on your anniversary. I really like your blog. I love all the product reviews and information. I even like hearing about your other furry friends. You do an awesome job. Keep giving good tips and advise and a place people can share ideas. Congratulations on your Blogiversary, Ann! You have definitely come a long way in two years, you should be proud of your accomplishments! Congratulations on your blogiversary. Pawsitively Pets is a great blog. I like to look at all the pet photos and read about new products. The sweepstakes are great as well. Congrats on your blogiversary! Congratulations on your 2 year Blogiversary! I like the pet review of products, your pictures and you are doing an awesome job! Congratulations on your 2 year blogiversary!! Very Pawsome! I love your blog :) I like seeing all the great photos of all your fur kids, reading your reviews and entering your giveaways and I love the great care tips you share. Happy, happy blogiversary to you! You do such an amazing job on your blog and can't wait to see what's to come in the years ahead. Much love, The Scottie Mom. Happy blog anniversary!!!! 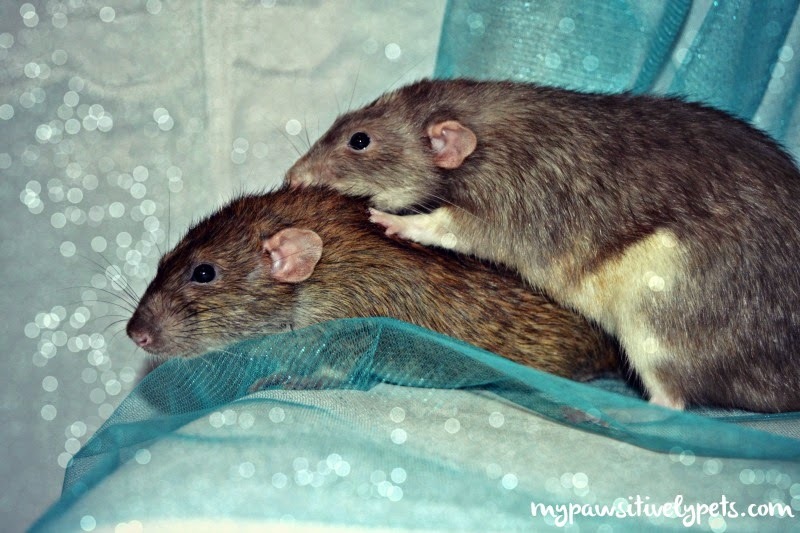 Love checking ur pit pictures and ur rat pics they make me happy...I like ur post. Hope in the future u make more cool giveaways like this one!! I like all of the information on the blog and love the giveaways. Thanks! I'm always looking for the best dry food for my cat and dog. Any info you post on new foods/treats would be greatly appreciated. Would like to see more giveaways, of course! I always like seeing training tips on blogs, and ideas for fun things to do with my dogs.